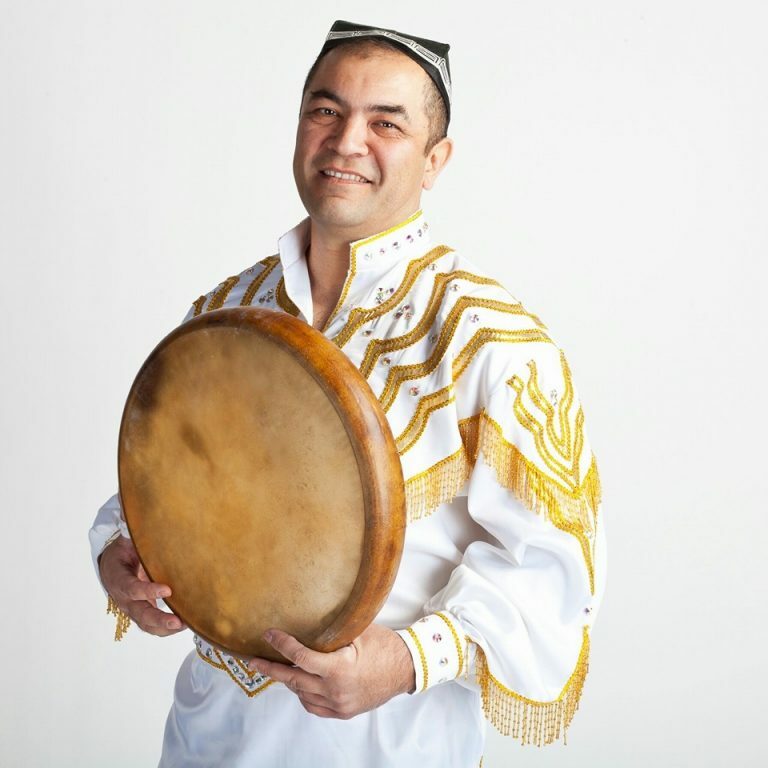 Abbos Kosimov is widely appreciated as an international phenomenon; through his dynamic performances, He is recognized globally as a master of doyra and an ambassador of Uzbek culture. Abbos was born in Tashkent, Uzbekistan to a highly musical family. He studied at the College of Culture and Music and under doyra master Mamurjon Vahabov and graduated in 1984. He also trained from the age of ten with Ustad Tuychi Inagomov, one of the few honored artists officially recognized by the Uzbek head of state. In 1991, Abbos won second prize in Central Asia and Kazakhstan’s Competition of Percussive Instruments. He has recorded independently as well as with R&B singer Steve Wonder and with Zakir Hussain and Master of Percussion and for the soundtrack of Alonzo Kings new Lines Ballet piece “A Thousand and One Nights” which premiered in Monte Carlo in November 2009. Most recently, in March 2010 Abbos performed at Carnegie Hall with Kronos Quartet, Dohee Lee, Homayoun Sakhi and Alim Qasimov Ensemble, Omar Sosa Giovanni Hidalgo, Terry Bozzio,Swapan Chaudhuri,Steve Smith, Hand Ensemble, Adam Rudolph and other famous musicians.